Large silver-gilt altar dish, the centre embossed and chased in high-relief with a scene of the Last Supper; Christ in the centre is surrounded by the Disciples, all seated around a table. The border contains four cartouches depicting the Biblical scenes, 'The Washing of the Feet', 'The Walk to Emmaus', 'Christ's Commission to the Apostles', and 'The Coming of the Holy Ghost', with scrollwork between. The dish is engraved with the Royal coat of arms (Stuart). Two of the Biblical scenes can be identified with sixteenth-century woodcuts. 'The Walk to Emmaus' is taken from that scene in 'The Passion Cycle no.19', engraved by A. Wierix after Martin de Vos. 'The Washing of the Feet' is from a 1574 example after the Swiss artist Sigmund Krumer. 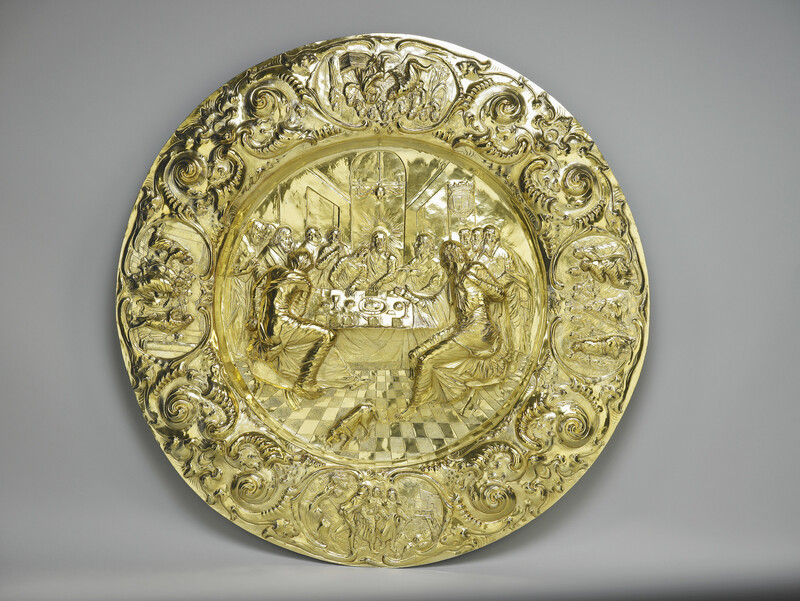 This altar dish probably belonged to James, Duke of York, who seems to have been determined to equal his brother in the furnishings of his private chapel at Whitehall, admiringly noted by Pepys as, 'his pretty little chapel where I never was before but silly devotions God knows.' 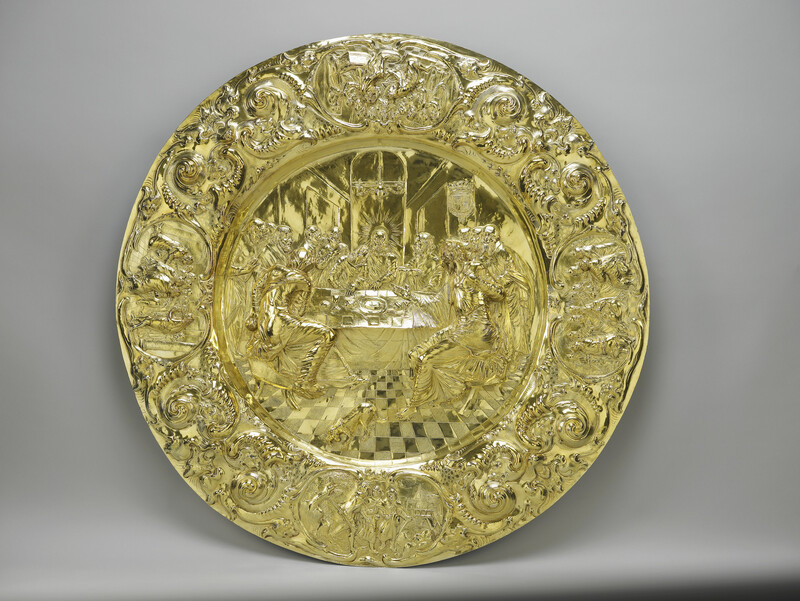 This dish appears in the 1721 inventory under 'Whitehall Chappel'.